Weather, weather, weather, we need some good weather!! If the weather ever gives us a break, we should be good. 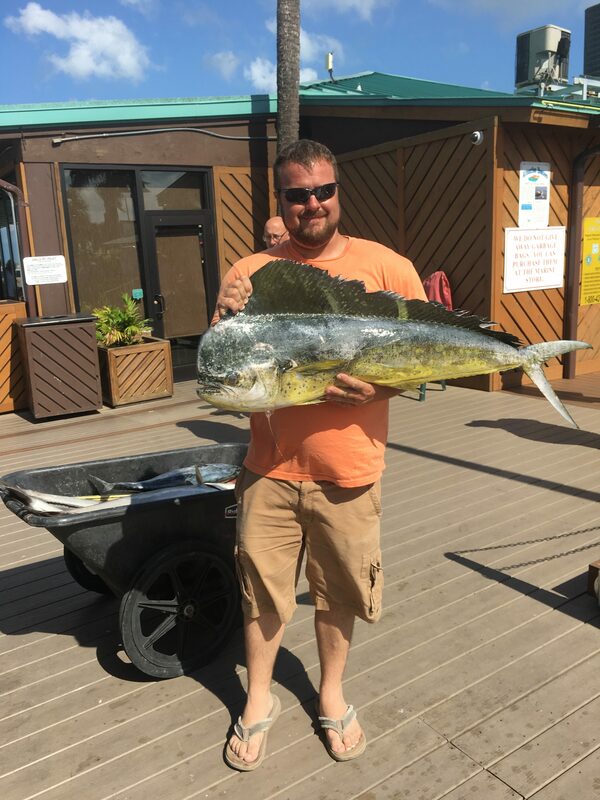 With typical June weather, I would expect the deep sea fishing from Port Canaveral to be as good or better than the fishable days in May. June is typically when the slow trolling on the inshore reefs heats up. With the calmer, steadier weather pattern, the kingfish have a chance to settle into a routine. Once they get settled in, it can make for some awesome fishing. In June, I would expect there to be a few more cobia showing up on the reef. Also, mixed in with the kings and cobia, I would expect to see an occasional sailfish, mahi or maybe a wahoo or two. There should also be plenty of action from bonito, barracuda and sharks. The trolling can be pretty good this month too. Hopefully, when the wind and rain leave, they will drag that scattered seaweed with them. 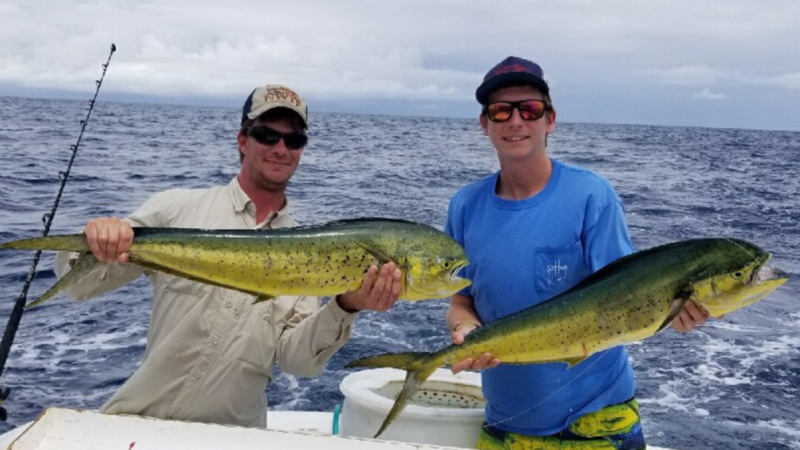 With the winter/spring season lasting far longer than normal, I would expect to see fair numbers of mahi this June. While trolling for mahi, there will also be a darn good chance for a sailfish with reasonable odds to catch a wahoo or blackfin tuna. Then, theres always a good chance at a barracuda or bonito. The bottom fishing in June can be pretty good too. I would expect to see a few grouper and a decent amount of amberjack to go along with them. There;s also a chance to see some big numbers of banded rudder fish in June, as we didn’t see many of them in May. There’s also a good likelihood to have a dolphin or two swim up while lowering to the bottom. All of this is just speculation, the only way to find out for sure is to get out there and soak some bait. With a little luck, my speculation will have undersold the fishing!